A true wedding ceremony out of a story book. 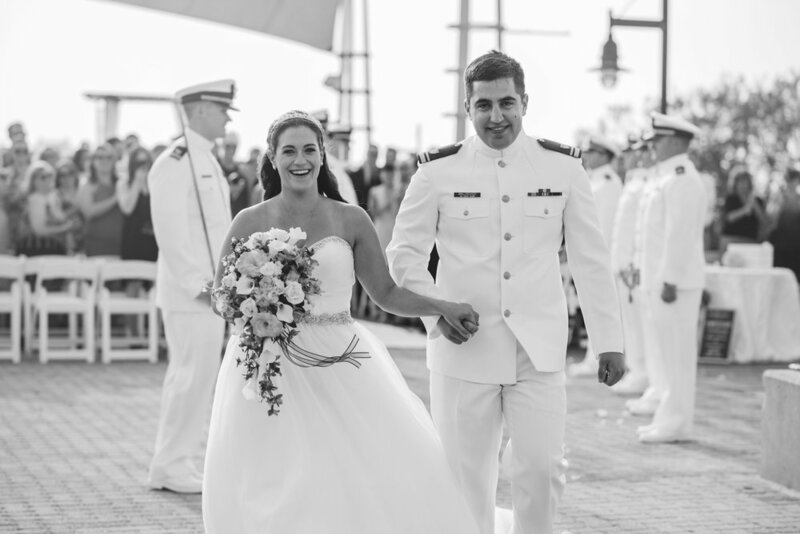 Sami and Ryan first met while she was working at a brewery, and the rest is history. 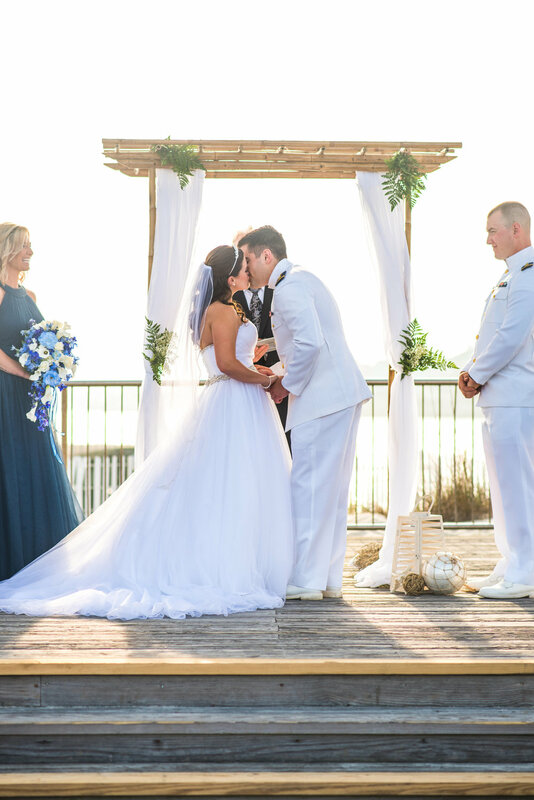 Both having a true love for the beach they knew getting married on the water was only the right thing to do! After all, Ryan did propose to Sami while on vacation in Virginia Beach. The ceremony was completely magical. 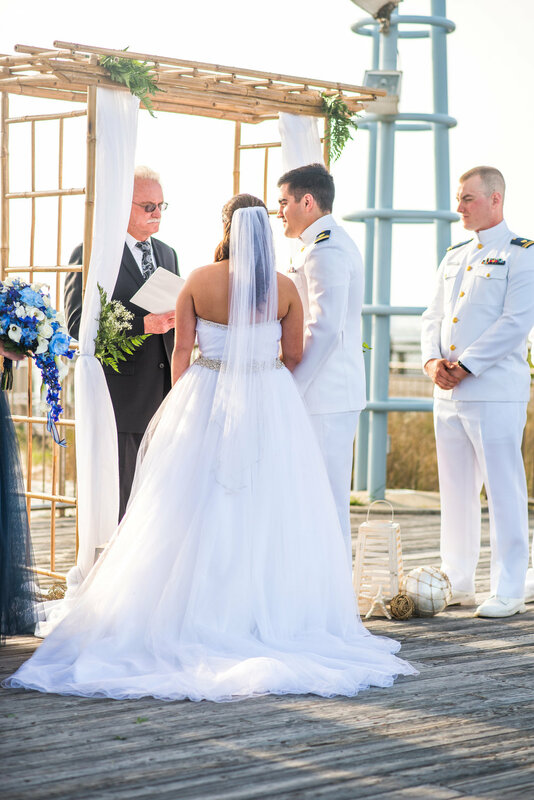 With views of the Ocean City Inlet & the smell of salt air, love was all around! The groomsmen all dressed in white & the bridal party in navy. Complete with the sword arch to finish the ceremony. It's safe to say Sami & Ryan's wedding was straight out of a story book. 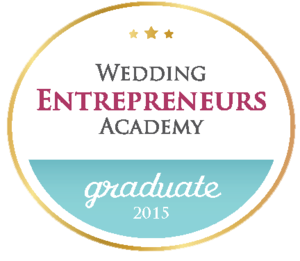 Newer PostWedding Planner Vs. Wedding Coordinator, which one do you need on your special day?